MISANO – Ben Spies finally decided to stay in MotoGP despite having joined the satellite team. So, what is the reason underlying the decision Spies to stay afloat in the class of kings. 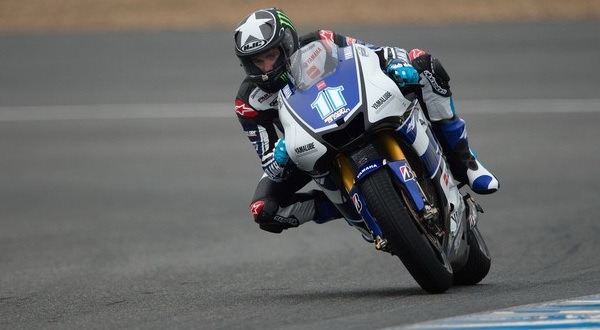 Spies failed to show a slick performance at this season with the Yamaha factory team. Of the 12 series that has been played, Spies was even able to stand on the podium. This is what makes the Yamaha decided not to renew the contract of American rider. Previously, Spies crowded rumored to be returning to Superbike, the event that makes it appear as a world champion. However, after much thought, Spies eventually decided to stay in MotoGP. Spies accept the proposal from the satellite Ducati team, Pramac Racing to race in the next season. Spies will duet with drivers who are still career in Moto2, Andrea Iannone. “I sjudah ever in World Superbike, and you’ll never know what you can do when you return (to Superbike). I did not say, I could have come back and won titles or how many races I can win. But, I’ve never felt the feeling in my race and it was enough, “said Spies told MCN, Saturday (09/15/2012). “In MotoGP, I do not know what I can do, but I know that I have not been doing the best I can do. I know that and that’s why I keep thinking about it. I do not want to regret that I was not able to spend all my potential over the last five years, “he concluded.